Reservation can be made on the day if there is a seat available. However, the menu of bento box maybe changed in case the reservation has made after 12:00pm one day before. Okoshi-daiko represents the DYNAMIC aspect of the Furukawa Festival. 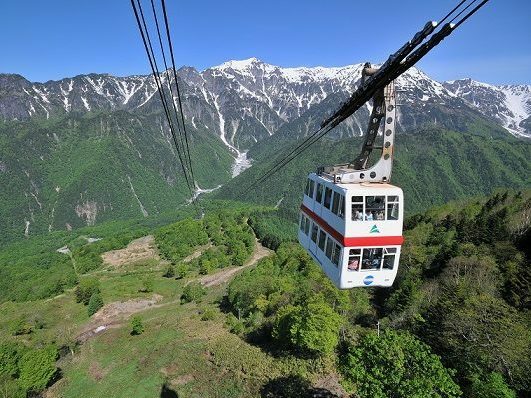 Let's enjoy this traditional exciting festival and have a memorable time with us. 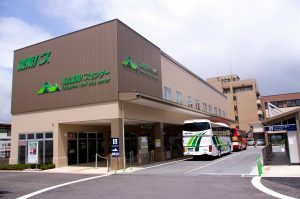 The bus will leave at Takayama Bus Terminal at 18:10pm. 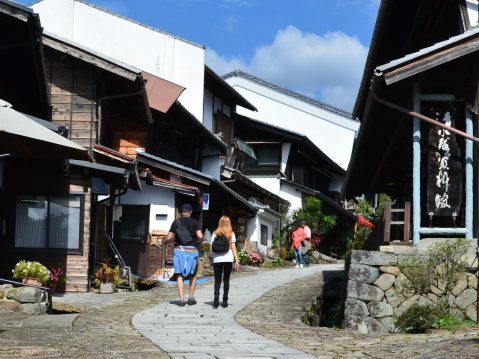 Take a stroll through the town and arrive at Minka its Japanese house. 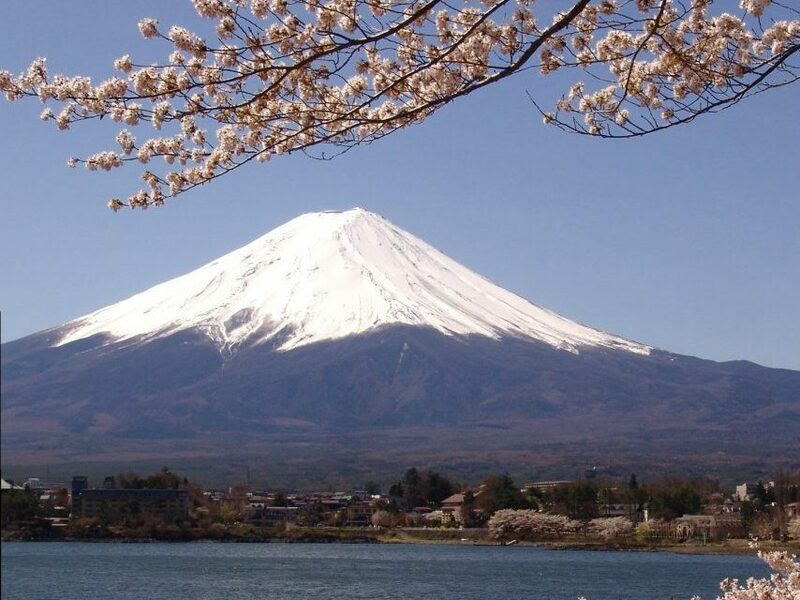 ※Bento box and drinks will be served at the house. 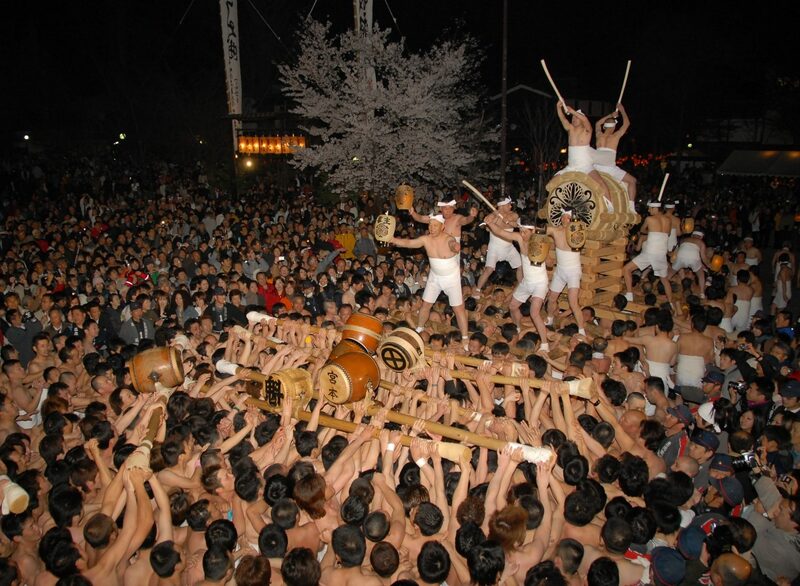 From 8 pm to the midnight, the spectacle of the Okoshi-daiko take place in the town. The big Japanese drum float. 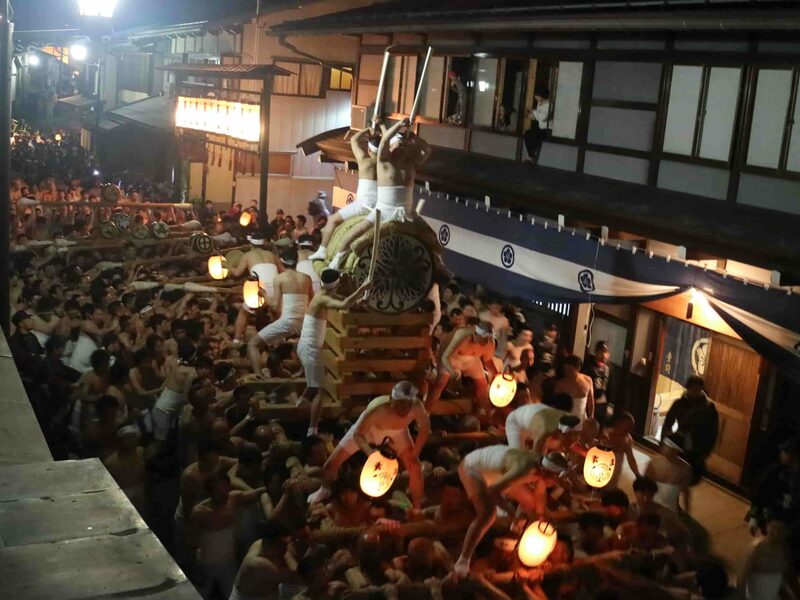 Okoshi-daiko(rousing drum), is carried through the town by hundreds of half-naked men. 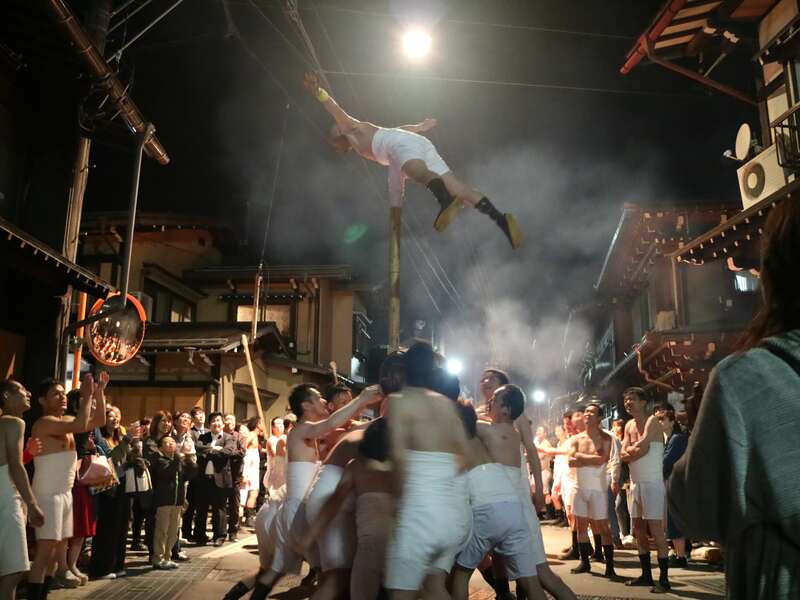 Before starting the parade of Okoshi-daiko, Tsuke-daiko(attaching drums) group members take turns balancing atop of Tsuke-daiko poles. The sound of the great drum can be heard late into the night. 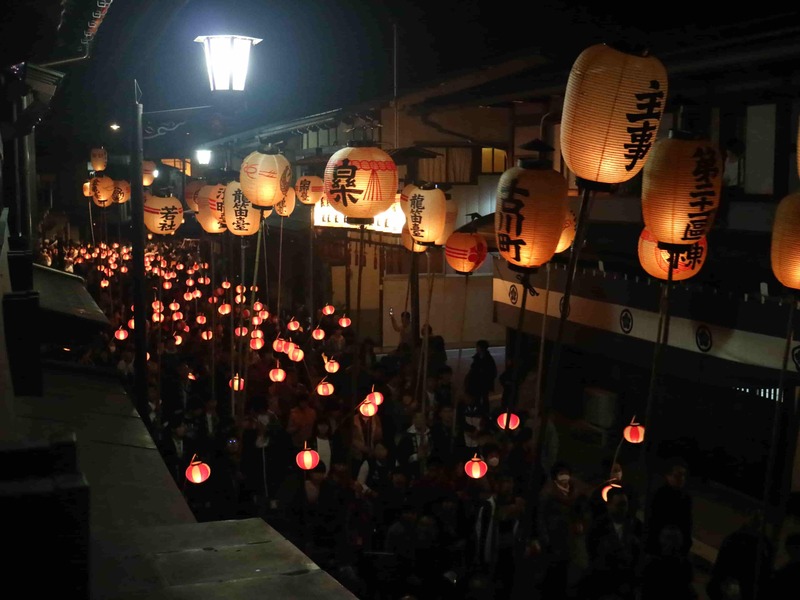 More than a thousand people holding paper lanterns illuminated by candles lead the Okoshi-daiko procession. 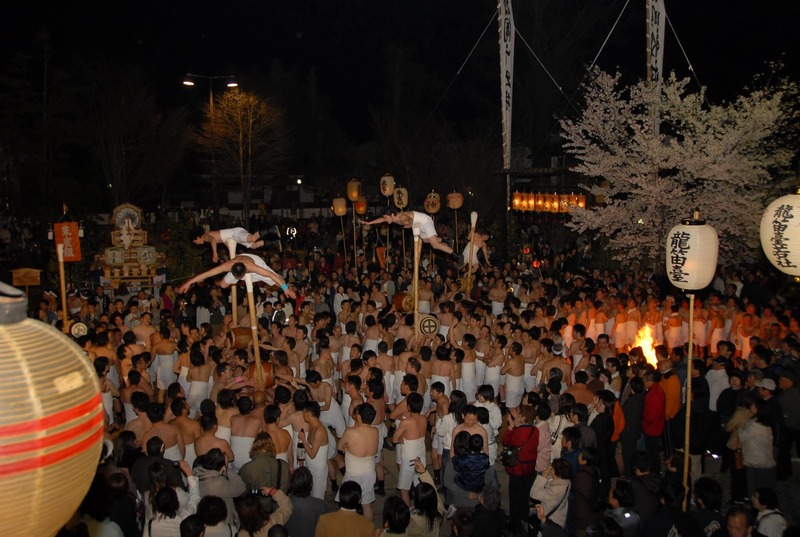 It is also fun to watch the performances in the town. Okoshi-daiko parade will pass just the front of Minka Hounse. 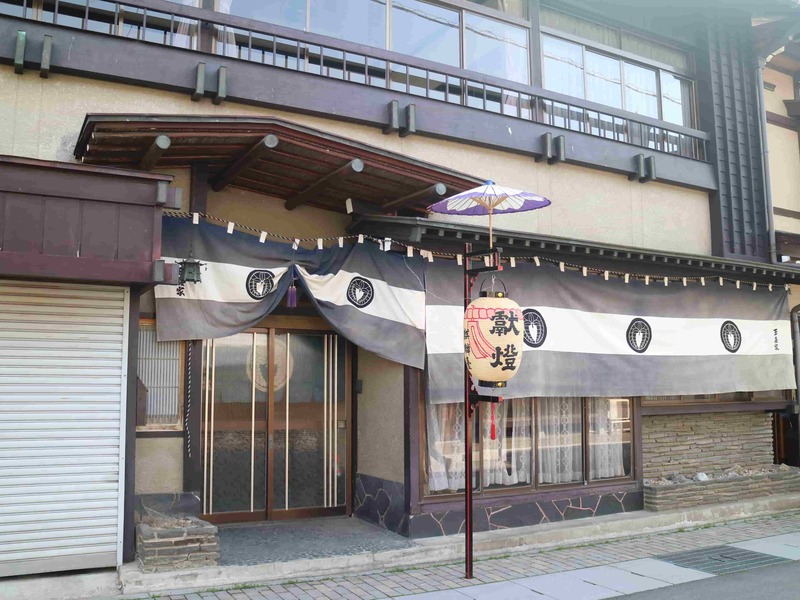 Let’s enjoy watching the spectacle Okoshi-daiko from a window. 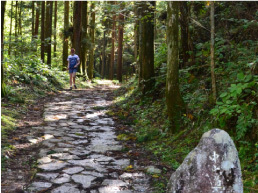 ※Please note that the tour will finish late at night. ・It will be very cold at night, so please bring something warm to wear.